Origin Corn oil was used commercially in the year 1898 and 1899. The machine of corn oil was invented by Benjamin Hudnut and Theodore Hudnut which belongs to the Hudnut Hominy Company of Indiana that is used to extract corn oil during that period. 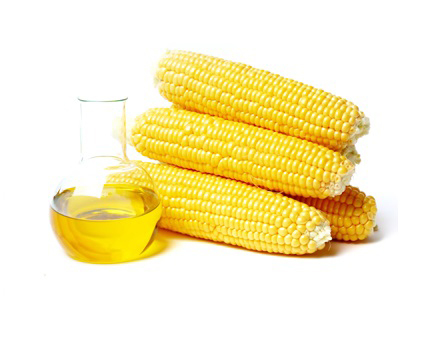 Corn oil is extracted from the germs of corn or maize. The corn seeds are pressed with the use of expeller pressing for eliminating the oily components and then it is treated with solvents to extract the remaining oil. The solvents are eliminated from the oil and the oil is refined for removing certain fats. The oil colors from medium to yellow. This oil has 55% of polyunsaturated fatty acid, 30% of monounsaturated fatty acid and 15% of saturated fatty acid. It has high smoking point due to which it is used for cooking purposes. It is used as a vital ingredient in margarines. It is also used for other industrial uses such as salve, soap, paint, textiles, inks, rustproofing for metal surfaces, insecticides, nitroglycerin and textiles. Corn oil was used commercially in the year 1898 and 1899. The machine of corn oil was invented by Benjamin Hudnut and Theodore Hudnut which belongs to the Hudnut Hominy Company of Indiana that is used to extract corn oil during that period. One tablespoon of Corn oil measuring 13.6 g provides 122 calories and 13.6 g of total lipid fat. It contains the vitamins such as 1.94 mg of vitamin E and 0.3 µg of Vitamin K. Lipids such as 1.761 g of total saturated fat, 0.003 g of myristic acid, 1.439 g of palmitic acid, 0.009 g of margaric acid, 0.251 g of stearic acid, 0.059 g of arachidic, 3.75 g of total monounsaturated fatty acids, 7.436 g of total polyunsaturated fatty acids, 8 mg of stigmasterol, 26 mg of campesterol and 84 mg of Beta-sitosterol. 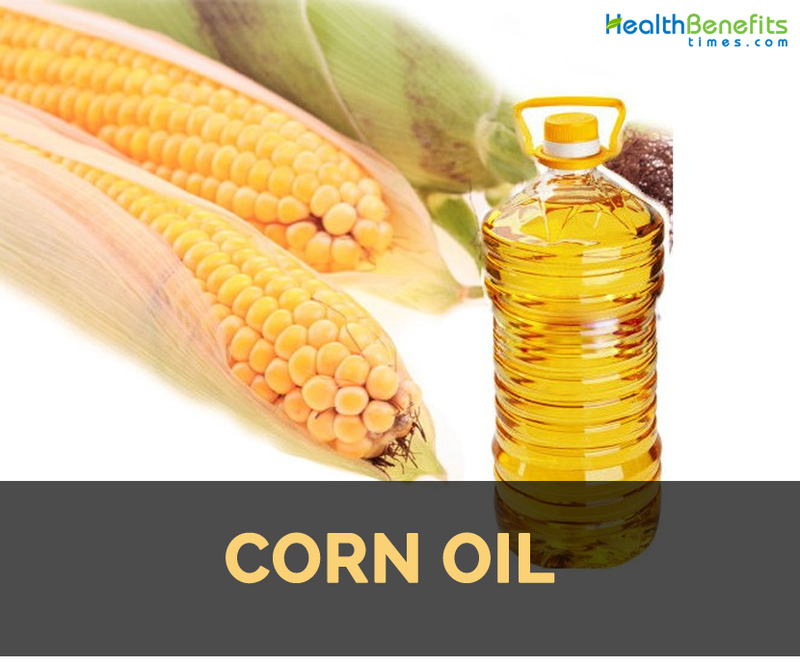 Corn oil has monounsaturated fatty acids and polyunsaturated fatty acids that help to lower the chances of heart problems. It lowers the cholesterol level as well as LDL cholesterol. 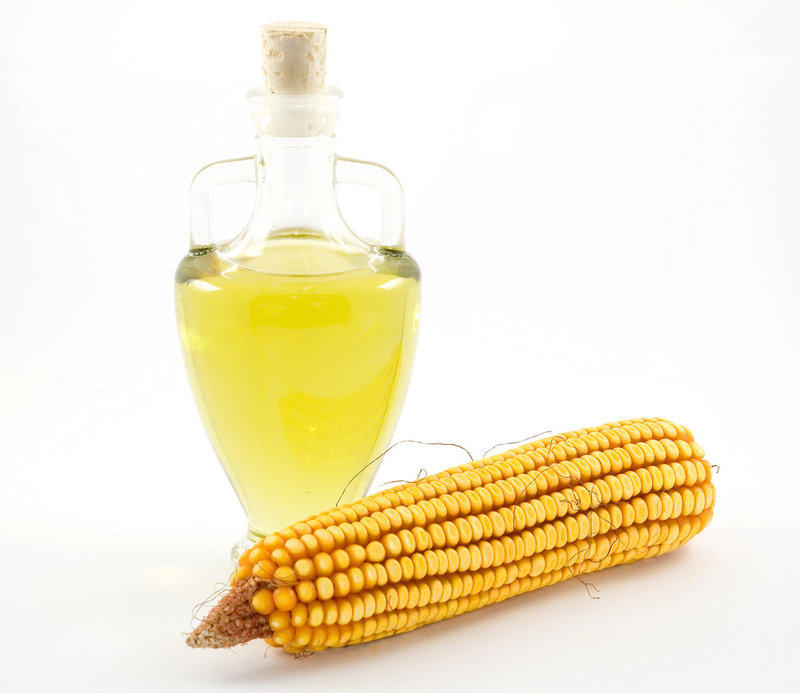 Corn oil is able to reduce blood cholesterol level. It has phytosterols in meaningful amount. The sterol compounds are derived from the plant sources and resemble the structure of cholesterol. The plant sterols are able to lower the absorption of cholesterol. 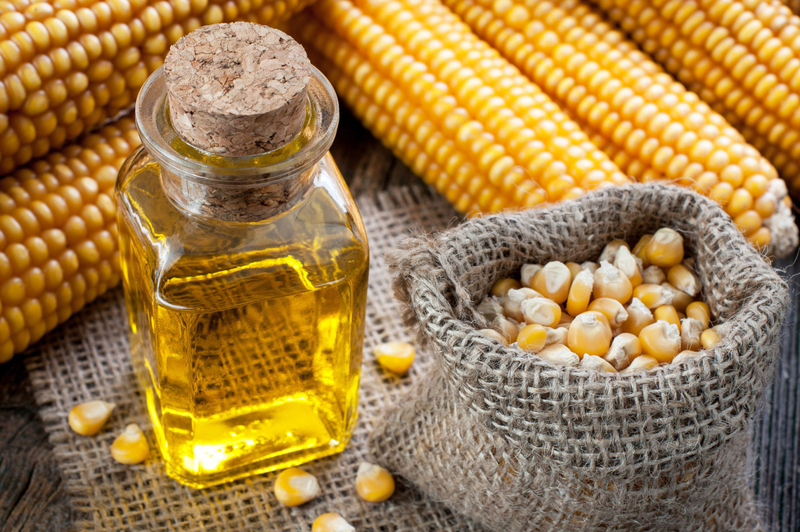 The study shows that addition of corn oil in diet helps to reduce cholesterol level. 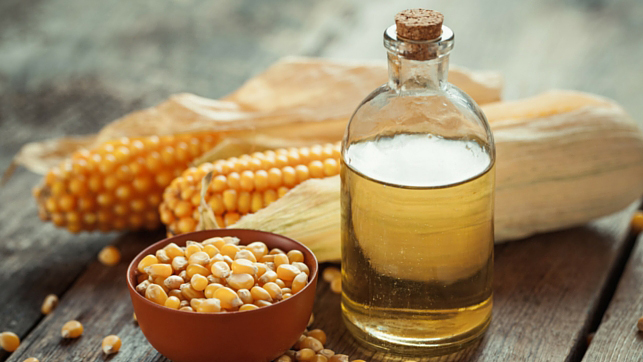 Corn oil is beneficial for maintaining heart health. It has high content of linoleic acid and polyunsaturated fatty acids. The regular diet should have high content of polyunsaturated fatty acids such as corn oil. This helps to lower the LDL cholesterol level. The foods rich in polyunsaturated fatty acids help to reduce high blood pressure in the hypertension patients. It lowers the blood pressure level by 10%. 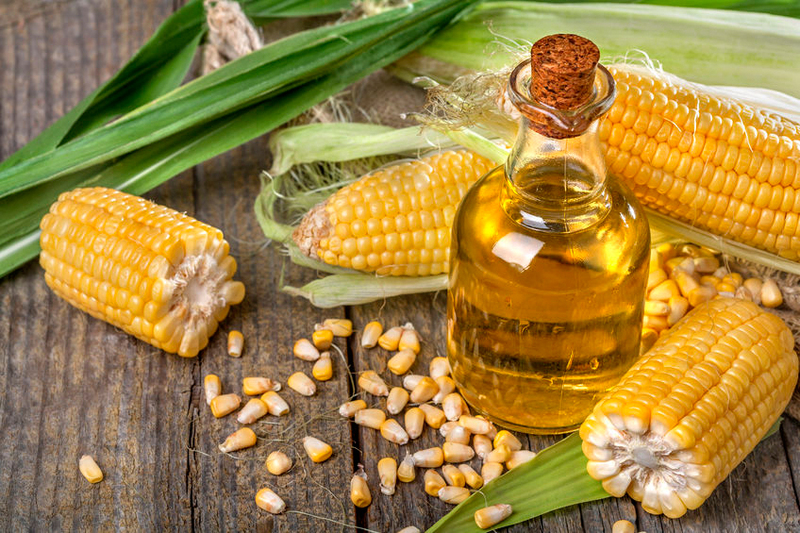 Corn oil could be used as massage oil for skin. This promotes the skin functioning due to the presence of Vitamin E and linoleic acid. 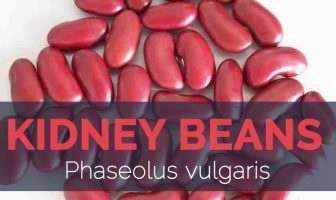 It is used as base oil for salves, lip balms, night oils and creams. It penetrates to the skin quickly as it contains 59% of linoleic acid. 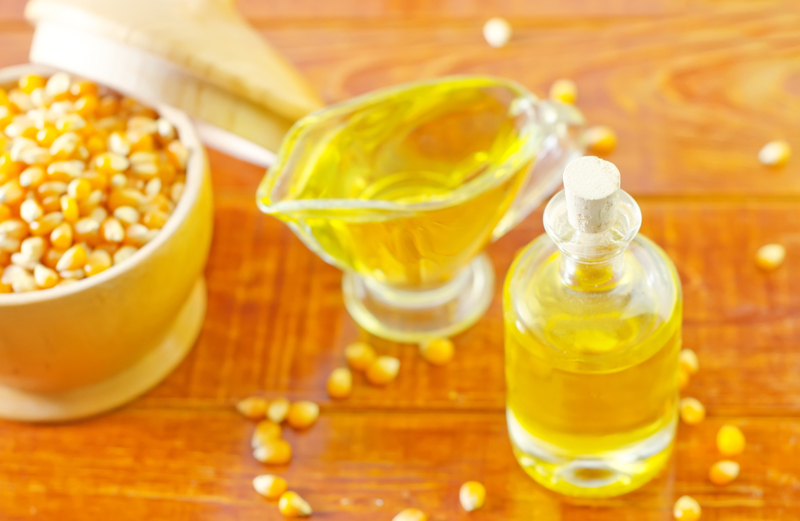 Corn oil could be used as a hot oil treatment for about 1 or 2 times in a week. This helps to treat undernourished and dry hair. It smoothens and conditions the hair. 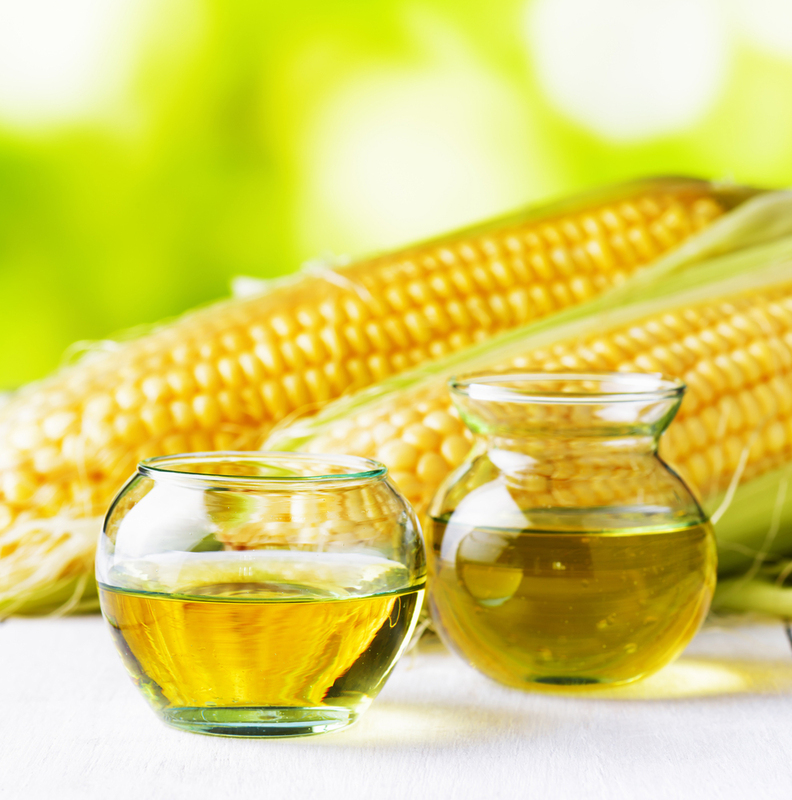 Corn oil could be used as a skin care for animals as well. Massage corn oil to the dog’s hair to make the coat look healthier. It could be fed to horses for the treatment of dull coat conditions. It provides more energy and healthy fats. The diet should be rich in omega-3 fatty acids for balancing omega-6 from corn oil. It moisturizes hair follicles and nourishes scalp that helps to prevent hair loss and dryness, prevent external damage and promotes hair growth. It is used as a hot oil massage, carrier oil for aromatherapy, rosemary and tea tree oil. Apply the mixture of two drops of tea tree oil and a table spoon of corn oil on hair for about 15 minutes and rinse it with a shampoo. It lowers cholesterol and prevent atherosclerosis. As corn oil has high content of linoleic acid but small amount of Omega-3, the study shows that the diet rich in omega 6 with low content of omega-3 leads to systemic inflammation in the body. This could lead to inflammatory conditions such as acne and arthritis. Corn oil has negative effects on the liver health. It increases the chances of liver cancer if consumed excessively. The postmenopausal women should not use it as it could be harmful for them. The high consumption of Corn oil increases the chances of breast cancer in women. It is used as an ingredient in margarine. It is used for deep frying recipes such as French fries. This oil could be used for dressing salads and mayonnaise preparation. It is also used for baking purposes. It is used as an ingredient in insecticides. It helps to prevent corrosion on iron surfaces. It is used for the production of nitroglycerin and also used in biodiesel technology. 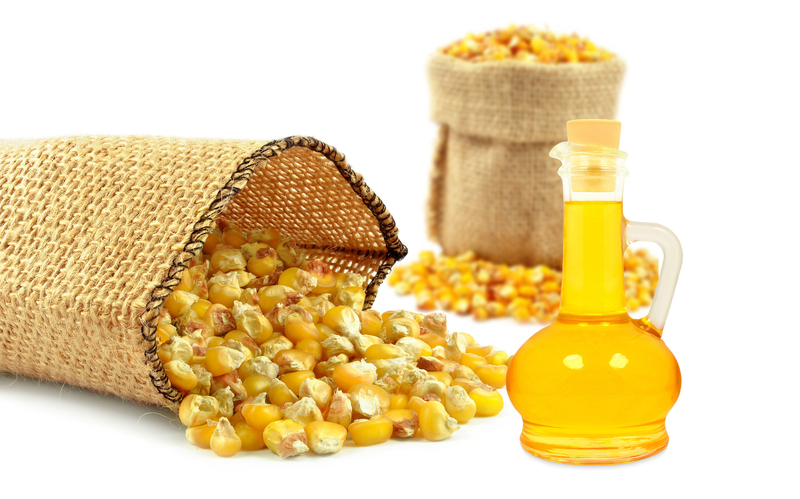 Native Corn oil was used commercially in the year 1898 and 1899. The machine of corn oil was invented by Benjamin Hudnut and Theodore Hudnut which belongs to the Hudnut Hominy Company of Indiana that is used to extract corn oil during that period. Calories in 1 tbsp (13.6 g) 122 Kcal. Calories 122 Kcal. Calories from Fat 122.4 Kcal.